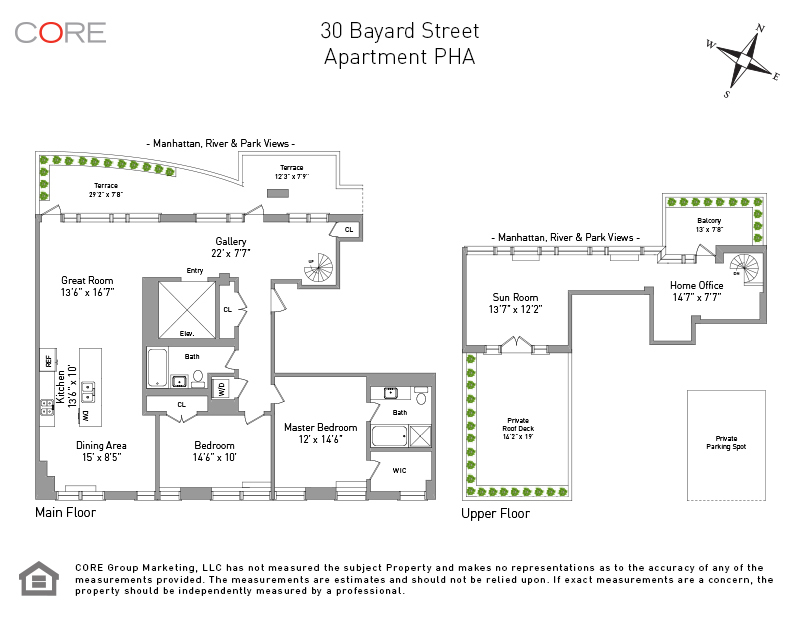 Never before released on the open market, Penthouse A is the crown jewel of 30 Bayard Street, a boutique full-service condominium set along McCarren Park in Williamsburg. With unparalleled park, East River and Manhattan skyline views, this trophy property is a once-in-a-lifetime opportunity to purchase a duplex penthouse totaling 2,021 interior square feet and 800 exterior square feet; including a private roof deck, wrap terrace and multiple balconies. With ceiling heights ranging from 10 to 16 feet, this rare home also comes with private parking situated directly behind the building. 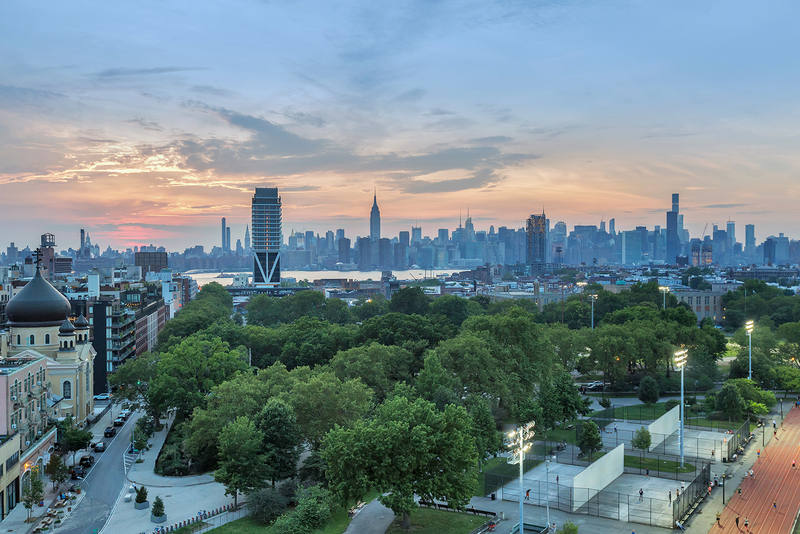 Enter through a key locked elevator onto a 22-foot wide gallery with wide open northwestern views overlooking McCarren Park's celebrated running track, a sea of trees, the ever changing Williamsburg waterfront and gorgeous river and city views. Approximately 40 feet of floor-to-ceiling linear glass windows and a 280-square-foot wrap terrace anchor the lower level of this duplex which features an open great room, a massive chef's kitchen with a ten-foot island, a large dining area and stunning northern and southern light. Off of the gallery is a corridor leading to a large coat closet, a large full bathroom, in unit washer/dryer, a south facing second bedroom and the home's current master bedroom, which has a windowed walk-in closet and a four-fixture master bathroom including a deep soaking tub and walk-in shower. The home's upper level is an entertainer's dream featuring 16-foot ceilings, curved glass windows, incredible views and two more outdoor spaces totaling 413 square feet. There is plumbing upstairs should a new owner wish to add another bathroom to create a dramatic master suite occupying the entire second floor of the penthouse, resulting in a 3-bedroom, 3-bathroom residence.